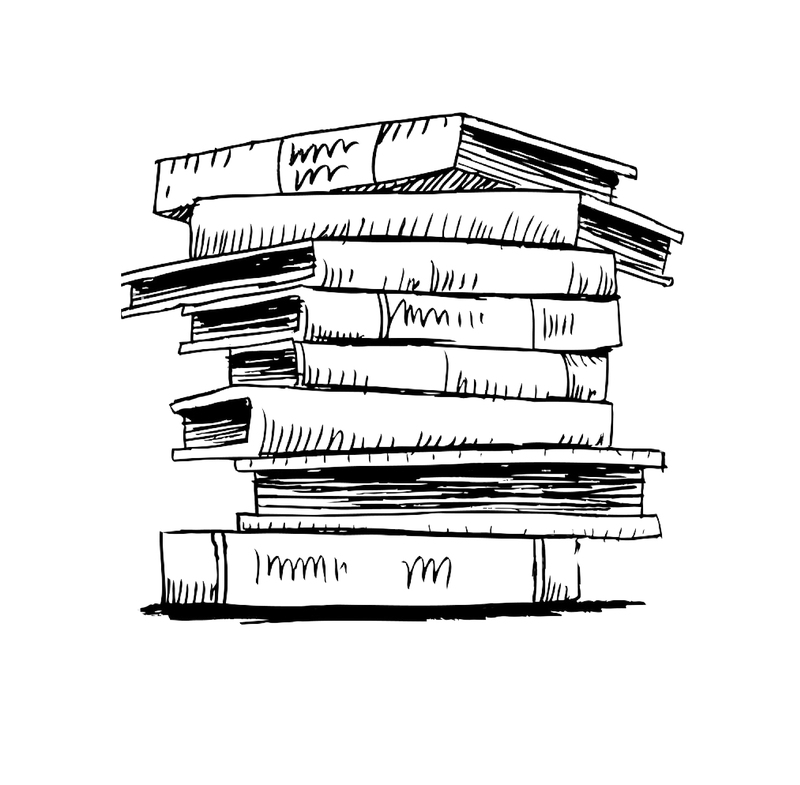 We are proud of our extensive range of products and bespoke finishes but understand that it might seem a little daunting at first glance to your clients. 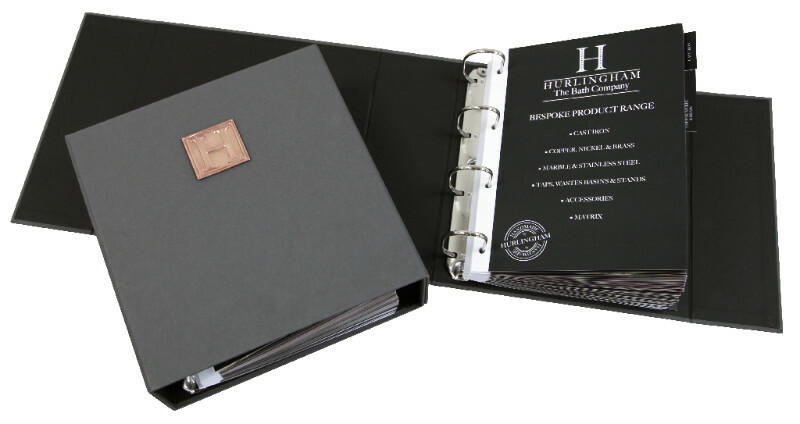 We have created a Presenter in an attractive A4 folder format with individual fold out card inserts that detail each product, with line drawings and all the finishes available for each item. There is also an easy to reference product matrix that will make specifying products for customers and contract work much easier. The presenters are for you to keep as a reference source in your showroom and will be delivered to you shortly by post or via a visit from your Hurlingham Sales representative. 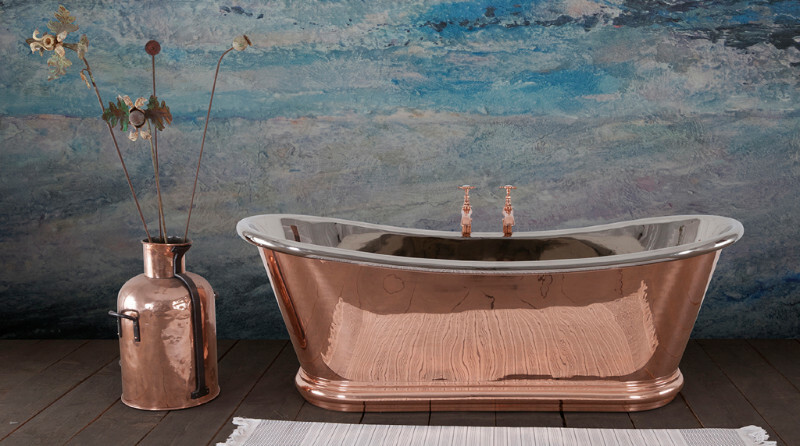 We are often asked how to care for the copper and enamel products we supply and so we have turned this question into positive action and are introducing the inclusion of a care kit with each bath or basin order that we despatch. The Waxing Care Kit for Copper and Nickel contains a micro fibre e-cloth, a sample pot of both Renaissance Wax and Autosol metal cleaner. The Enamel Care Kit contains an e-cloth, an enamel bath rubber and a pot of cream cleaner. The Warranty Card is also enclosed in the care kits and this details the after-care instructions for each finish. The sample products included in the kits can be readily sourced by your clients going forward. 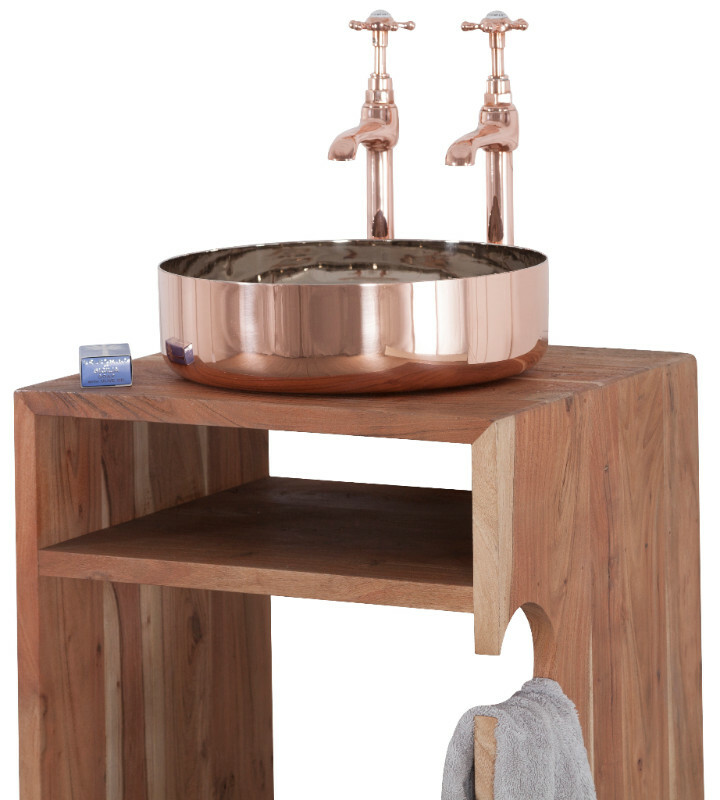 We have added some basin stands to our furniture range, comprising of vanity tops and legs. 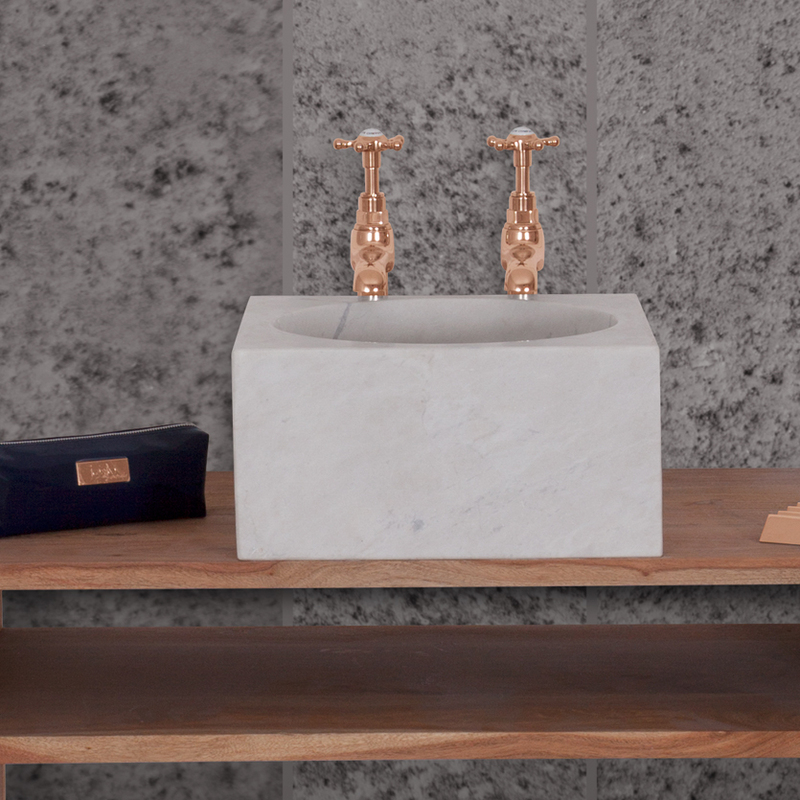 Our new globe legs are available in copper, nickel or acacia wood and the vanity tops in a bullnose acacia wood or black marble with a chamfered edge detail. Our third party courier is able to deliver orders up to and including Friday 22nd December to the relevant postcodes for that day. Please contact Lily lily@hurlinghambaths.co.uk or on 01400 263312 if you have any questions regarding delivery days and postcode areas.Please note that the last day for ordering for pre-Christmas delivery is Friday 8th of December.We are closed for Christmas from Saturday 23rd December and re-open on Tuesday 2nd January 2018. There will be some team members in over the holiday period who can respond to any urgent issues or enquiries should you need to contact us. Our training days are now under way and have been very well received. The day provides an opportunity to fully understand our product range and processes and very importantly the natural characteristics of our hand-crafted products. The team from Paula Gundry Interiors Ltd joined us last week for their training day and loved getting ‘hands-on’ with a bit of gilding.Francesca and Louise from Paula Gundry Interiors Ltd enjoying the chance to have a go at gilding with gold leaf. We are strongly encouraging all of our retail partners to attend one of our training days and are extending these out into the New Year, so please do get in touch to request details of available dates. 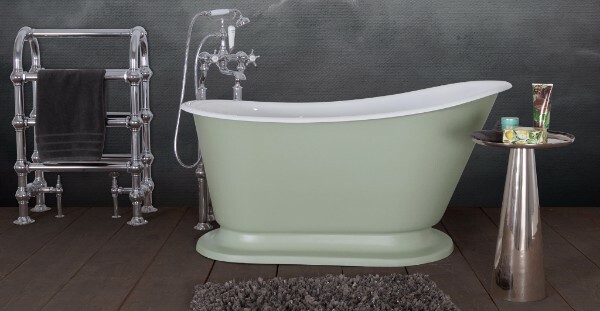 Roll top baths look fabulous, but where does the soap dish live? 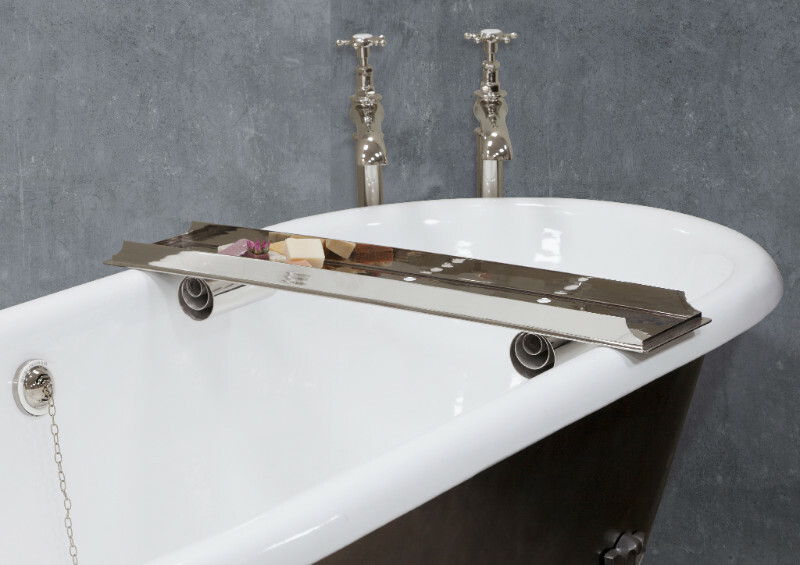 Our bath caddy is the ideal solution for this and all those other bath goodies we like to be within reach whilst we are in the tub. 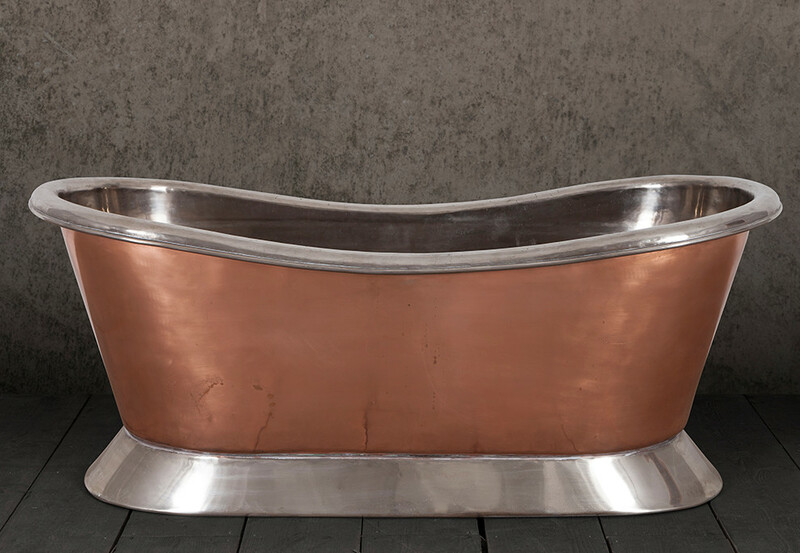 Available in a copper or nickel finish and in stock too. TO LACQUER OR NOT TO LACQUER? THAT IS THE QUESTION. The answer is NO…. Why, you might ask? 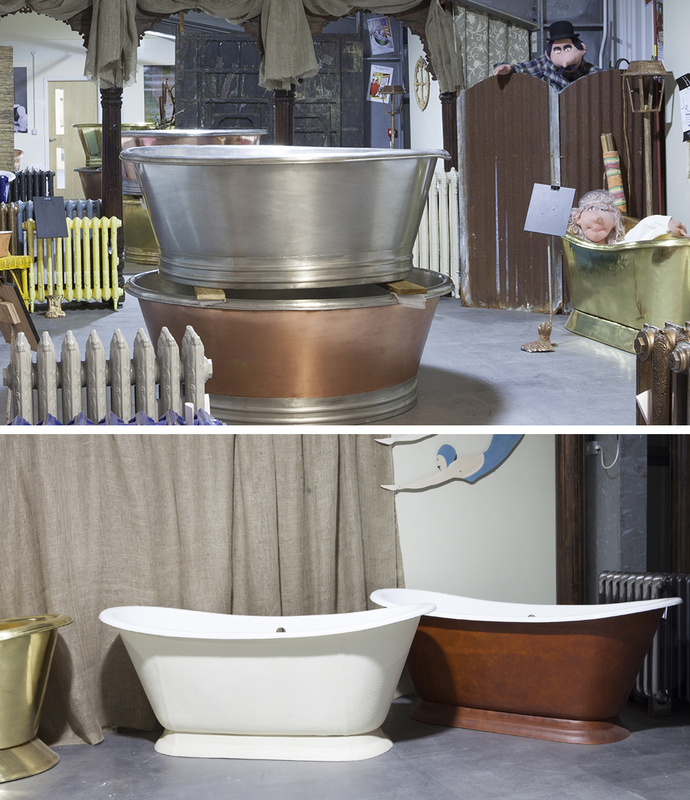 Well, for some time now we have been trialling a new protective finish for the Copper & Nickel baths and basins. The results are in: we are pleased to say that the results from Waxing far outweigh those of Lacquering. And this is why! Waxing guarantees a superior finish and protective coating with no dulling of the metal finish and it water-proofs the product. However, if your customer manages to drop something heavy in the bath or catches it with the mop, the surface of the Wax will just be removed and can be re-applied, unlike lacquer which will be irreparable. Guilding with Gold Leaf offers the opportunity to push boundaries with timeless rich and adventurous finishes. At Hurlingham our team of craftsman have this process down to a ‘T’. Whether for a domestic project, or a hotel specification, guilding offers a bespoke element to the project which will make it difficult to replicate. Take a look at our team in action and attend one of our training courses. When looking for design inspiration to accent your room design, why not use one of our spectacular mirrors to truly reflect your unique style. 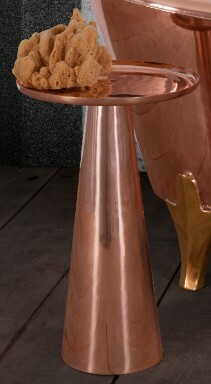 Available in Copper and Wood finishes and in a variety of shapes and sizes, all in stock ready to go. From the first week in October we are running a series of training days at our showroom in Lincolnshire. 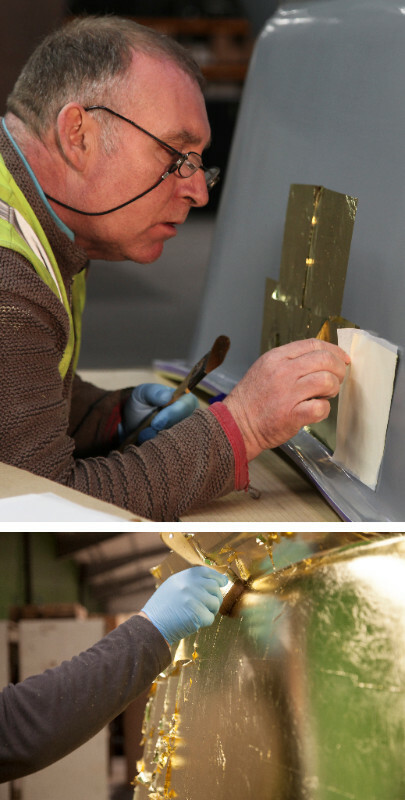 Through these we hope to give you an insight and understanding of the bespoke features and finishes of our product range and let you test your Master Gilding skills by having a go at doing some gilding on a miniature bath. You can also view our showroom, meet the team behind Hurlingham and get a real understanding of our product and practices. If you are interested in attending please contact Corrine who will be able to arrange a suitable date for you. Our wide range of accessories could add a little inspiration to your clients’ designs. 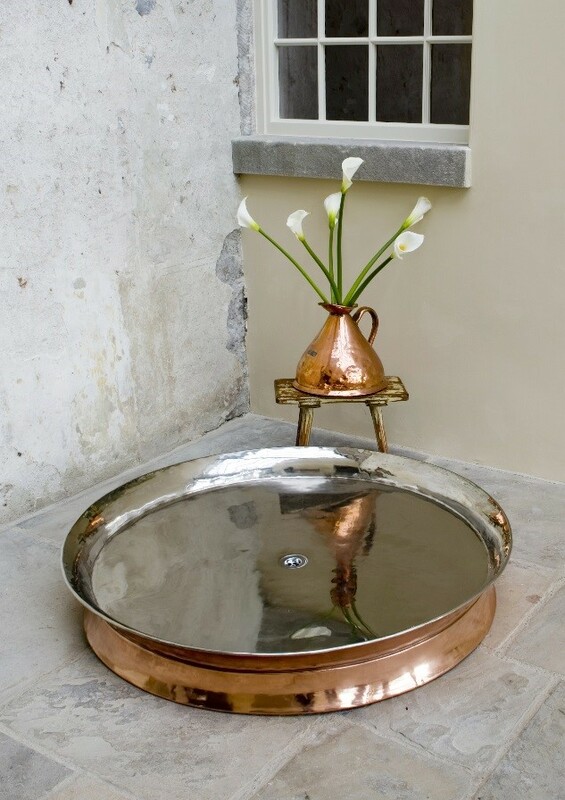 One of our most recent additions is the copper cone table, combining design and function and available in both polished copper and nickel finishes, this makes it perfect for gracing the side of any Hurlingham Bath ideal for keeping those bathing essentials near to hand! 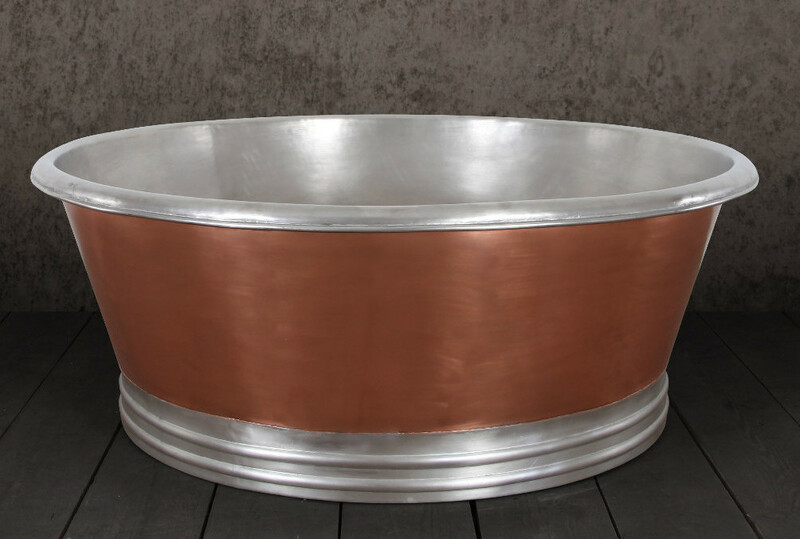 A stunning centre piece for a wet room or teamed with our shower arms or rings. 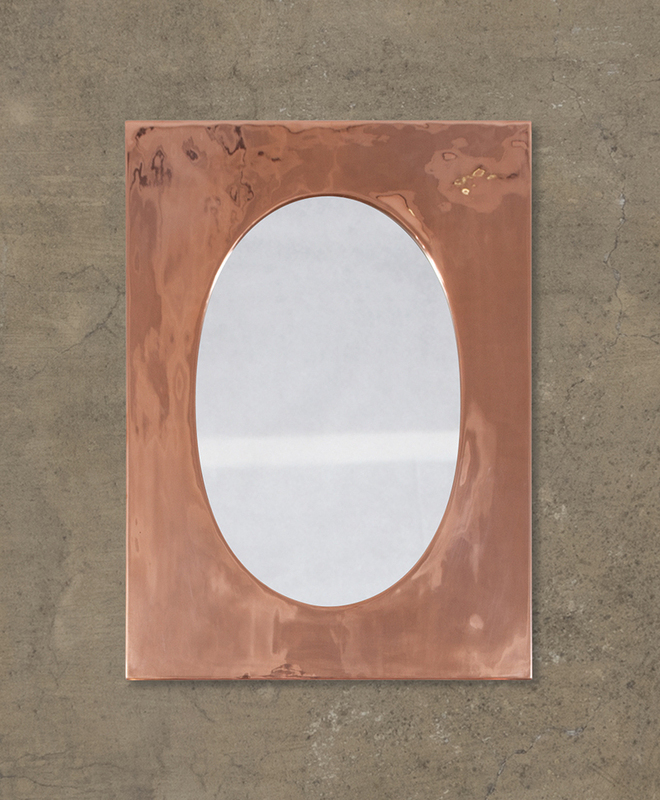 Our copper shower trays are available in two different sizes in a full copper, a copper & nickel combination and also in a brass finish. 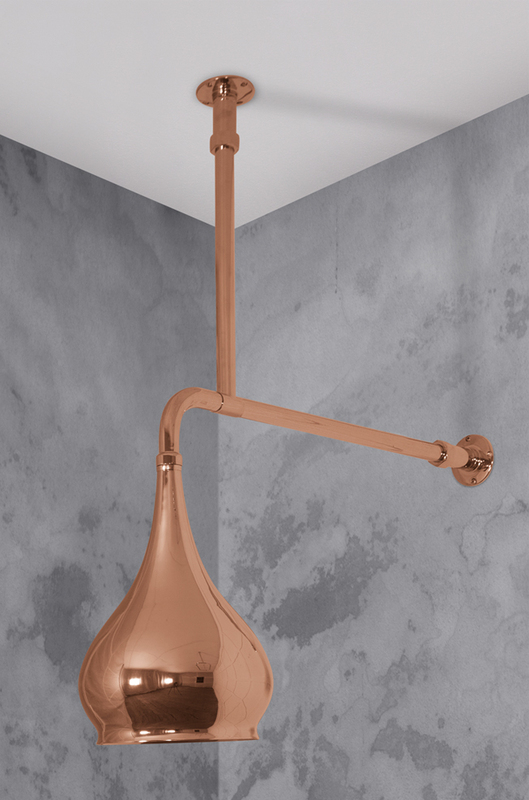 Our shower heads provide the crowning glory, choose from copper or nickel finishes in various sizes and styles. All our baths and basins are hand made to an extremely high QC level. If they don’t quite make it, straight into the OUTLEt they go. We also trial many different design shapes and finishes that are one -offs and cannot be catalogued so the quickest way to move them is through the OUTLEt. How to USE The OUTLEt. Just send your customer to visit us. We look after your customer and you receive the margin. 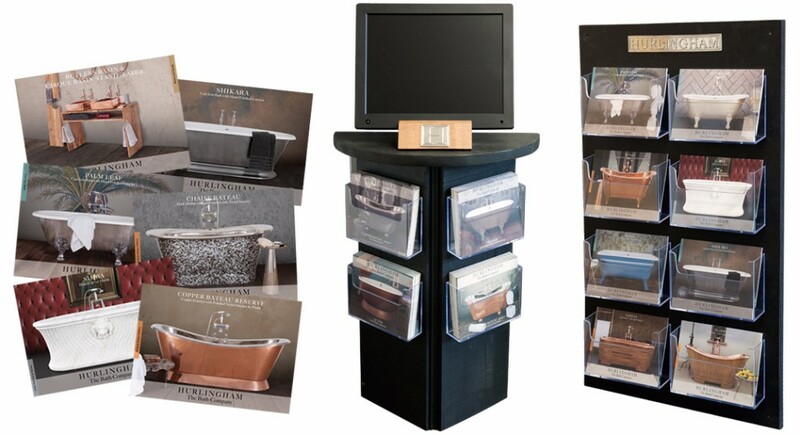 One of our retailer’s customers recently called, and purchased five baths for a boutique hotel they were setting up. The result was a boutique hotel with an unbelievable selection of unusual tubs at reduced prices and the retailer received the normal margin. Independent high quality builders are another possible client together with that consumer on a tight budget. Why do we need you, the retailer? We need the contacts, you get the margin and between us we know where the baths have gone. The retailer also reaps the added benefit of supplying the other accessories required. 50% Discount. Scratch on side. Could be polished out. 30% Discount. Early model. More rustic in appearance. Not so refined as our current baths but with loads of character more akin to the French originals. 30% Discount. Again an early model. The tin interior is also the finish chosen by the French coppersmiths in the 1800s. It’s full of personality and charm. 30% Discount. 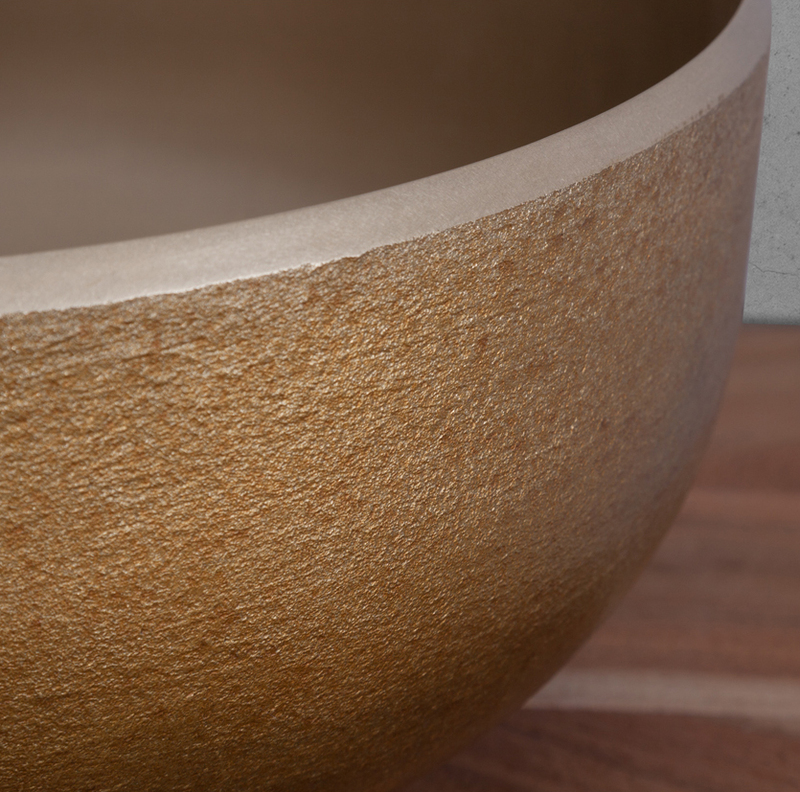 A big 1200mm diameter in solid brass. Gushing with individuality. It’s very different. Where else would you see one? We have round shower rails to complement the trays. Have you seen the latest cast from Hurlingham? It’s called The Cameo and it’s a small bath with oodles of character. 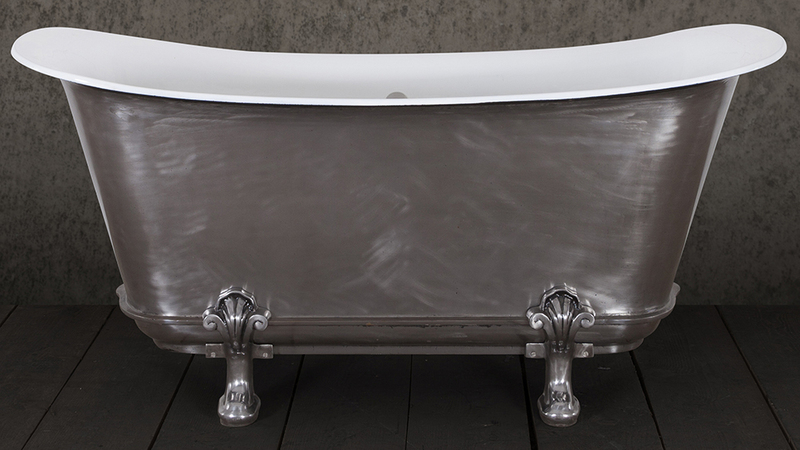 A really interesting upper body of the tub has an equally remarkable plinth. 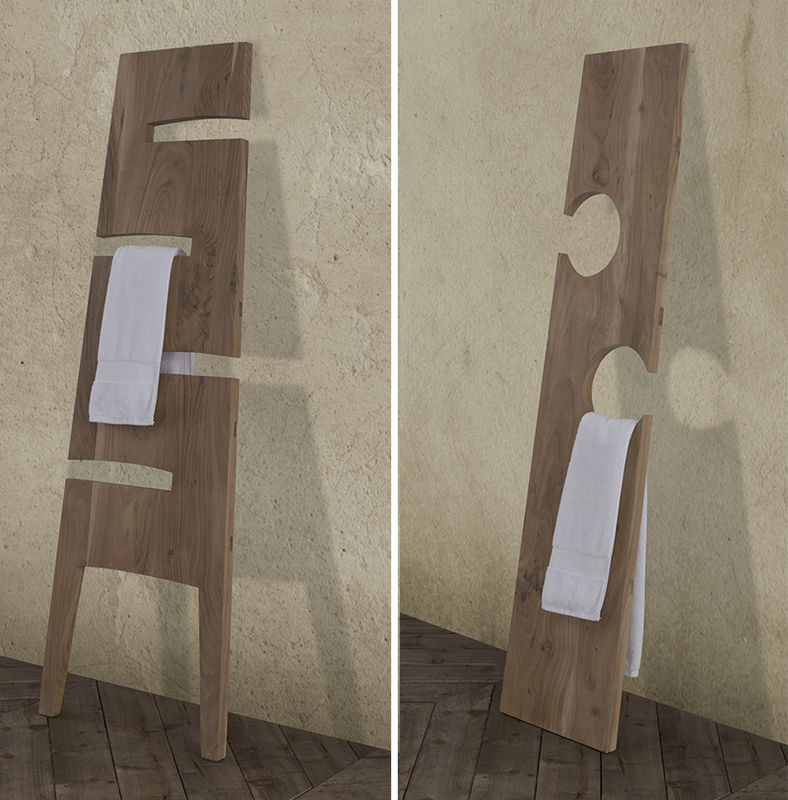 Fantastic in the corner of a bedroom or smaller bathroom, the outstanding form really creates a statement. While the interior is high grade genuine vitreous enamel the exterior can be tailored with any of our bespoke finishes. A grand gold leaf, a sumptuous textile or any colour can be applied. A full polished model will be available in 6 months’ time. Our crafty gilders have been working away again at various specialist leaf finishes. 1 Italian Heritage Gold Leaf. 2 Pure Gold Leaf with black background. 3 Pure Gold Leaf with yellow background. 4 Copper Leaf, Green Verdigris and distressed with patina. Please remember if you want something really special for you customer, come and visit us with your client to talk with our craftspeople. It will be worth the trip. They have so much to show you. We’ve just finished printing our latest collection of point of sale cards. 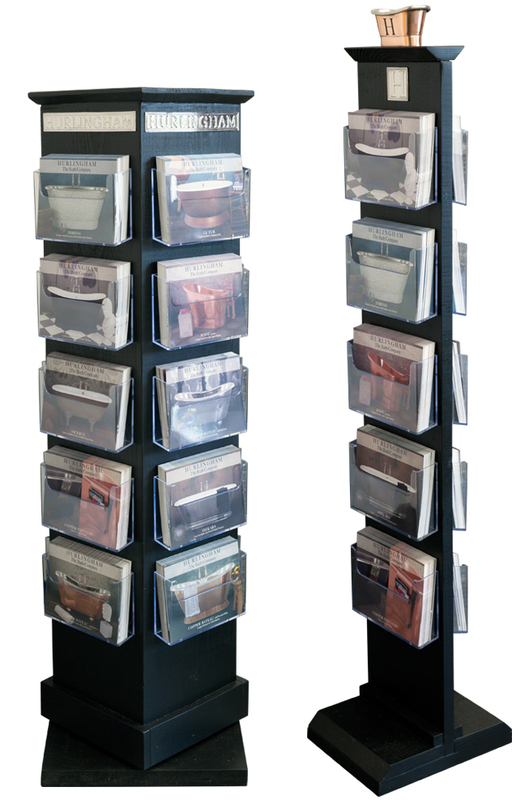 The 63 cards can help you describe the vast choice that Hurlingham offer when designing the ultimate bathrooms. We can also offer free of charge dispensers for the cards together with various units to hold the dispensers. 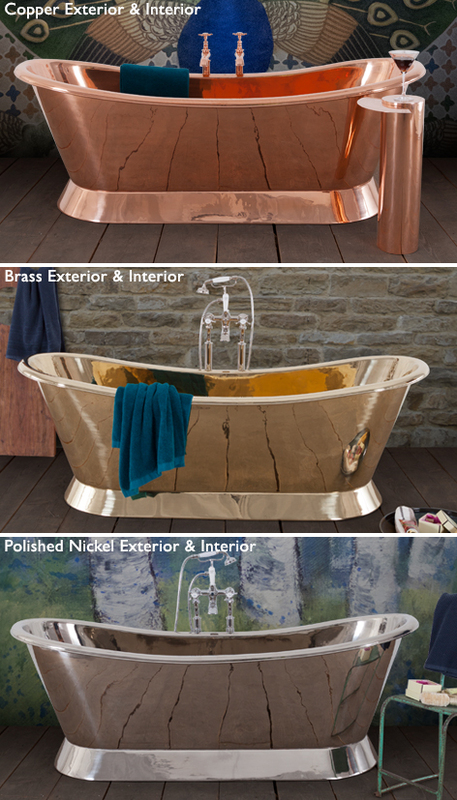 It’s possible now to create virtually any metallic finish on all our baths. 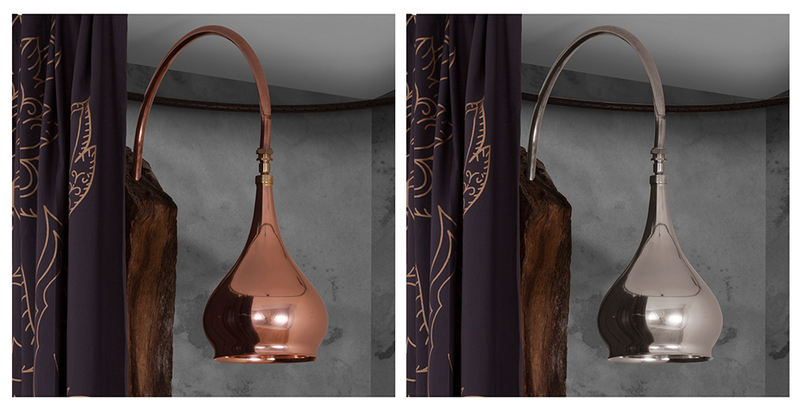 Shown here is Burnished Bronze on our Cast Iron Caravel but it’s possible on copper baths too. Remember our business is all bespoke and we want to develop something special for your customers. Why not come and visit our workshops in Lincolnshire? You can talk to our craftsmen and see many new ideas that are produced every week. This is a Shower Hold-up!!!! Hurlingham have just developed a ceiling support for our range of unusual and generally large shower heads. Seen here with the Trombone shower head the additional support ensures stability for all the range. The support can be cut to provide differing lengths of between 7 and 100 cm. A brilliant request we recently received was for a Black and White Cow Hide. The specifier was able to choose from a selection of hides to create exactly the style required. 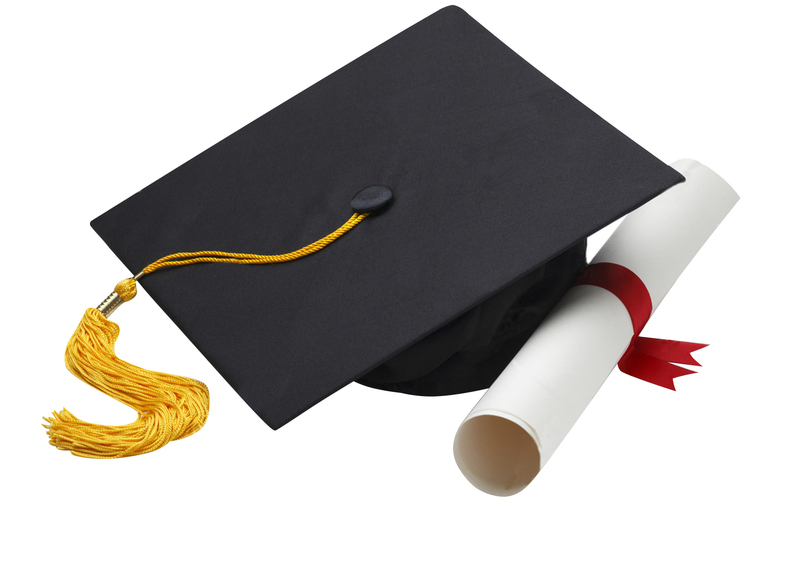 If you have any unfamiliar ideas and want an immediate answer on whether it’s possible please give us a call. Another very genuine basin. Carved out of solid black or white marble it is heavy and has that authentic influence. It weighs 48 Kilos so needs to be fitted on a solid base. The size is 360x360x175mm.